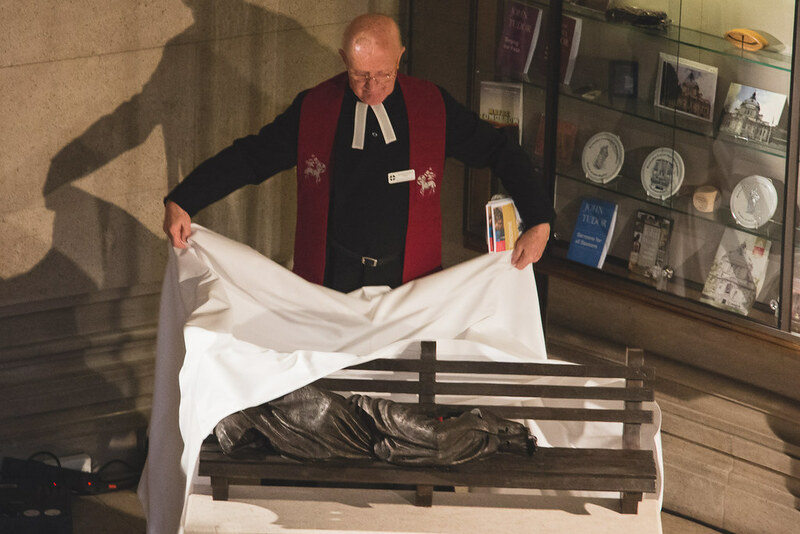 On Good Friday, Methodist Central Hall unveiled a smaller version of the Homeless Jesus sculpture after their initial proposal to site a full-size version of the Homeless Jesus outside of the building was blocked by Westminster City Council. 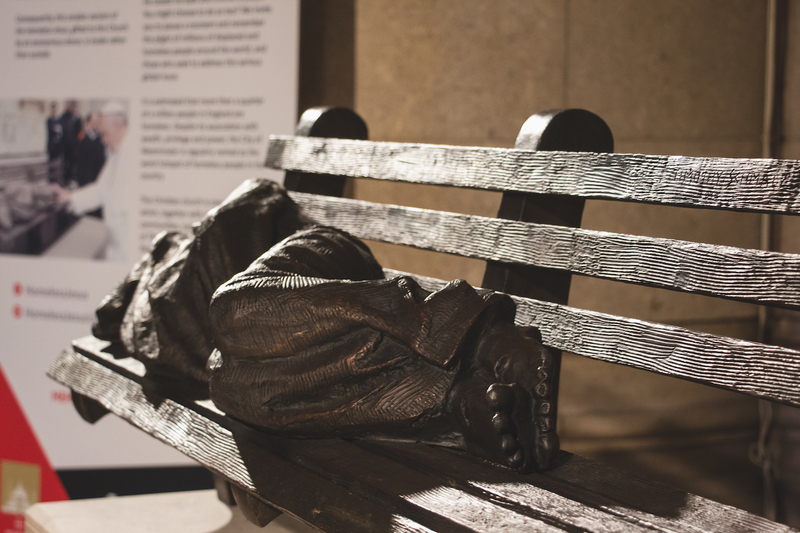 The Homeless Jesus is a bronze sculpture by Canadian sculptor Timothy Schmalz, generously donated to the Central Hall by an anonymous benefactor. It depicts Jesus as a homeless person, asleep on a park bench. His face and hands are hidden by his threadbare blanket but the nail marks of crucifixion on his bare, exposed feet are clearly visible. Among those attending the dedication included London District Chair the Rev Dr Jongikaya Zihle, Dean of Westminster the Rev Dr John Hall and staff and clients from The Passage, a homeless charity based in Westminster. Methodist Central Hall Westminster is one of several churches which, together with other faith communities, supports the work of The Passage in Westminster. The Passage is London’s largest voluntary sector resource centre for homeless and vulnerable people, helping up to 200 women and men each day.